Appeals Attorney | New York & New Jersey | Law Offices of Adam M. Thompson, P.C. In the United States, the court system begins at the trial level. Whether you are involved in a civil lawsuit or a criminal prosecution, your original judgment or verdict will come from a trial court. If you are unhappy with the outcome at the trial level you may appeal that outcome to a higher court. In some cases you have an automatic right to appeal while in others the right to appeal is discretionary. Given the inherent complexity of the appellate process it is imperative that you have an experienced and skilled appeals attorney on your side to ensure that your rights are protected and to maximize your chances of success on appeal. At the Law Offices of Adam M. Thompson, P.C. we understand how devastating it can be to lose a case at the trial level. We urge you not to despair, however. Instead, consider appealing the outcome. Our appellate attorneys have the experience and skill needed to take your civil or criminal case through the appellate process. If an error was made at the trial level we will aggressively fight at every available appellate level to correct that error. If you wish to appeal a New York City civil or criminal verdict, contact the Law Offices of Adam M. Thompson, P.C. by calling 855-497-2326 or by filling out our online contact form for your free consultation. We also handle cases throughout New York and New Jersey. As a general rule, only final judgments or verdicts can be appealed; however, there are exceptions to the general rule. Examples of a final judgment or verdict include things such as a guilty verdict in a criminal trial or a monetary award in a civil lawsuit. Some appeals are automatically available to a litigant or defendant while others require you to seek permission from the higher court. 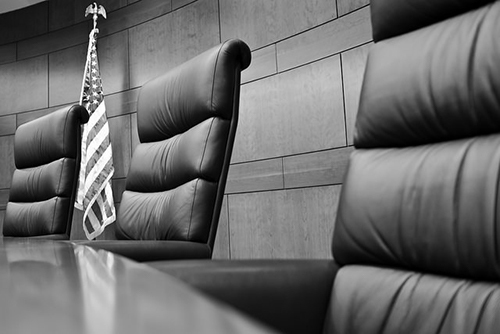 A defendant in a criminal prosecution always has an absolute right to appeal a guilty verdict to the next higher court, typically the Appellate Division in the State of New York. The higher you move up the appellate ladder, the more complicated it becomes to pursue an appeal. An appeal is not an opportunity to re-try your case. Whether you are appealing from a civil judgment or a criminal verdict you must allege errors made at the trial level in your appeal. In most cases, the function of an appellate court is not to decide if the trial court made the right decision. Instead, an appellate court is charged with determining if a trial court erred during the trial. Moreover, not all errors result in a favorable decision for the appellant. Some errors are considered "harmless errors" because, in the opinion of the appellate court, the error did not affect the outcome of the case. Therefore, when you appeal a case you must first prove that an error was made at the trial level and then prove that the error was not a harmless error. Although you may be entitled to an appeal as a matter of right, you must begin the appeals process within a short period of time after the judgment or conviction is entered by the trial court. Failing to begin the appellate process within the time period allowed by law may result in a waiver of your right to appeal. For this reason alone it is crucial that you consult with an experienced appeals attorney immediately after an unfavorable outcome in trial court. Whether you are a seasoned pro or a first-time litigant, losing a case at trial can be devastating. At the Law Offices of Adam M. Thompson, P.C. our appellate attorneys can help you turn that devastation into positive action by beginning the appeals process. It isn't over until you have exhausted all available avenues of appeal. Contact the New New York City appeals attorneys at the Law Offices of Adam M. Thompson, P.C. by calling 855-497-2326 or by filling out our online contact form for your free consultation.